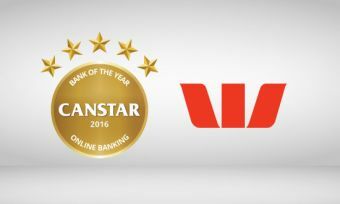 Each year Canstar researches and rates financial institutions and Canstar is pleased to congratulate Westpac for winning the Bank of the Year – Online Banking Award. Westpac describes itself as acting like a 200 year old startup and there is no doubt that the online experience of its customers is of vital importance, with 70 percent of all transactions being completed digitally. With terrific functionality across both desktop and mobile, Westpac has won the Canstar Bank of the Year – Online Banking award. We caught up with Melissa Macfarlane, Westpac’s Chief Digital Officer, to find out more about our banking habits, expectations and innovative culture. Q: Banking is something that we all do frequently – but how have our banking habits changed over the past few years? A: The rise of digital technology and mainstream use of the smartphone has had a huge impact on consumer behaviour. 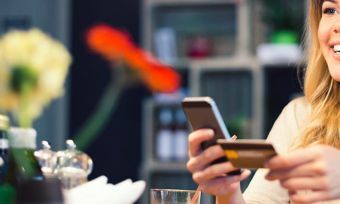 In fact, 70% of customers who use online banking do so using their smartphone or tablet, and 18 percent of these people use their devices exclusively. Helpful, affordable and innovative technologies are being adopted by people across the board at a hectic rate. Today 70 percent of all transactions are completed digitally. Online banking was launched in 2000, but the launch of mobile applications in 2010 truly changed the way our customers bank with us. We’re not just innovating in mobile banking, we’re constantly looking at ways to improve our customer experience right across the board. For example, the launch of our Smart ATMs has given customers even more flexibility around their banking. Now a third of all customer deposits are made using a Smart ATM and, of these transactions, more than 34 percent are made outside of branch hours. Essentially, through mobile banking apps and smart ATMS we’ve been able to shift from simply offering “assisted service” to offering “self-service”. Q: In terms of mobile functionality, what do customers expect as a given now? A: Customer’s expectations are interlinked with the mobile functionality of the day. As everyday digital adoption evolves, so do our customer expectations. Right now, your bank can be accessed from your pocket 24 hours a day, seven days a week. We know our customers want instant answers and actions as well as more control and everyday ownership of their accounts. They want to be able to bank without having to visit a branch or being conscious of opening hours. Q: Where will customer expectation be as the functionality evolves? A: We believe (and are banking on) that demand for digital banking is moving beyond straightforward transaction and account management. 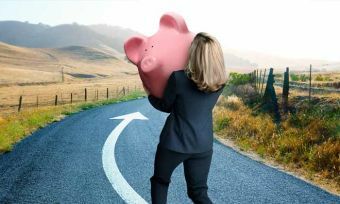 Customers will expect value-added extras and tools from their bank that cover things like financial education. They will also expect us to know them and tailor our offerings in a personalised way – giving customers the ability to choose what and how they want their finances managed. Banking will is no longer on the banks terms, but on our customer’s terms. Q: Westpac has been ahead of the curve in terms of technology. How do you foster that innovative mindset within your organisation? A: Quite simply, it’s about culture. It’s about creating a culture that fosters smart problem solving and flexiblity within a reasonably traditional banking environment. The successes we’ve had are direct outcomes of Westpac’s ability to behave like a bank and not like a bank at the same time. We’re thinking and acting like a 200 year old start-up. We operate in a highly regulated environment, so it’s imperative we have the right processes and structures in place to give our customers security. Attention to every single detail is absolutely necessary. But at the same time, we need to be agile and anticipate our customer’s needs. Innovation requires an agile, fast, collaborative environment where failure equally – is seen as an opportunity to learn. Through our newly established Ventures Team, we’re fostering curiosity, courage and an entrepreneurial approach to banking. The ability for the two cultures to co-exist within Westpac is fundamental to our success. Canstar congratulates Westpac on its award-winning success. You can read the Online Banking report here.